"JOIN US FOR HAPPY HOUR"
Order your food over the phone or online with our friendly partners Grubhub or Uber Eats! In a rush call ahead and order your food over the phone, please be aware of rush hours 12 noon, order times will vary and we will do our best to accommodate specialty orders. Agave Coffee & Café offers carefully crafted dishes to satisfy your breakfast, lunch, and snack cravings. From our blended fruit smoothies, breakfast wraps and sandwiches, fresh house-baked ciabatta bread, a wide variety of bagels & muffins, gourmet free range chicken sandwiches, grass fed burger, and the ever talked about organic Agave salads... our menu will not disappoint! If you come for the coffee we hand craft our coffee from the finest, highest-quality beans we are able to source. 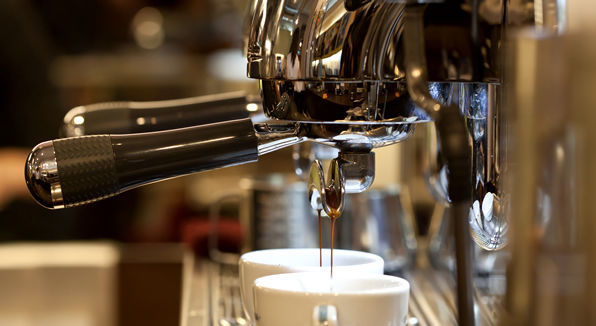 Our espresso is certified organic, shade grown, and fair trade. Click button to download a print friendly version of the menu. Click on menu to view larger. Our skilled baristas create the most beautiful latte art! Latte art is a method of preparing coffee created by pouring microfoam into a shot of espresso and resulting in a pattern or design on the surface of the latte. in photos on Instagram and write positive reviews on Yelp. Thank you for all the love and local support, we look forward to serving you!